Drinkwel, the world’s first daily multivitamin supplement designed specifically for people who drink alcohol and want to be healthier about it, has unveiled its first lifestyle formula for the active socialite. Developed by two doctors – a Ph. D in Biomedical Science and a Doctor of Neuropathic Medicine – and two U.C. Berkeley alumni, Drinkwel offers a unique blend of the best ingredients designed to help the body break down and process toxins and ingredients common in most alcoholic beverages. Combining antioxidants, essential vitamins and minerals, amino acids and a proprietary “Superfruits and Botanical Blend” formula, Drinkwel promotes healthier liver function and faster breakdown of the common mixes used in cocktails as well as alcohol itself. Available in three-capsule “to-go” packets as well as a 30-day supply for daily use, Drinkwel retails for $39.95 for a 90-capsule bottle or $9.95 for a four pack of “to-go” packets. Shipping internationally and available for immediate purchase at www.drinkwel.com; try out this revolutionary approach right now! 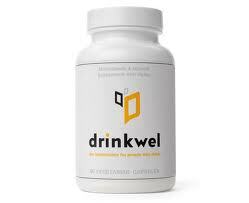 Drinkwel is the first multivitamin formulated specifically for healthy people who enjoy drinking alcohol in moderation. Created by two UC Berkeley graduates and formulated by two leading medical experts, Drinkwel’s unique combination of ingredients replenishes nutrients, supports healthy liver function, and help your body process alcohol induced toxins. Responsible drinking is an important practice, and Drinkwel reminds all its customers to observe all the common safe choices when enjoying alcohol – be of age, do not drink and drive, and do not consume alcoholic beverages while pregnant, nursing or sick. Keep it in moderation and save it for the weekend, and Drinkwel will help keep your active social life more manageable and practical for years to come.